If you are looking for an effective solution to skin imperfections such as thread veins, pigmentation, stretch marks or acne scarring, the Cutera Laser is without a doubt the answer. No other treatment can resurface the skin and restore its structure, quality and vitality as safely and as quickly as the Cutera Laser can. It even eradicates verrucas and unslightly fungal toenail infections! While results can be seen immediately after just one session, we recommend a course of 6 treatments to ensure you receive the maximum benefits from this revolutionary laser treatment. 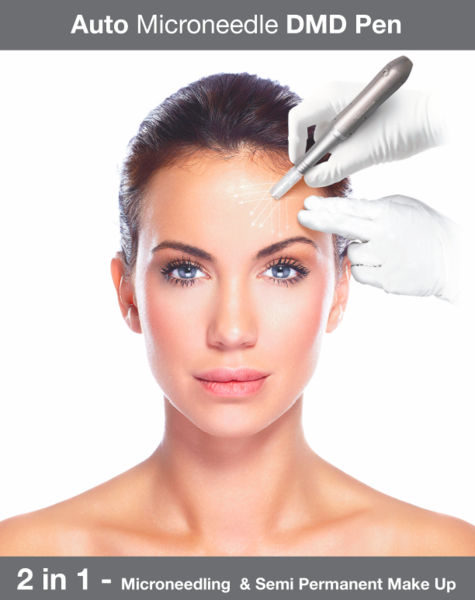 The laser skin rejuvenations treatments are now offered at our North London medispa in Crouch End. IPL skin rejuvenation treatments improve the tone and texture of the skin; it reduces visible signs of ageing. IPL treats a range of facial imperfections such as skin discolouration, sun damage, freckles, age spots, rosacea, etc. safely without disruption to the skin’s surface. Intense Pulsed Light (IPL) is a popular non-invasive clinical treatment that uses high-intensity pulses of visible light to reduce hair growth and correct skin imperfections. Unwanted thread veins, acne scarring, rosacea and pigmentation can be greatly diminished by repeated IPL treatments. While some skin concerns are permanently treated following a course of IPL, others may require a combination approach to gain the maximum benefit. The DMD Micropen represents the very cutting edge of skincare technology, using disposable needles that penetrate the skin and stimulate collagen growth, it not only eradicates problem areas such as wrinkles and pigmentation, it revitalises and rejuvenates your skin. Making it tighter, firmer, and minimizing pore size for a long-term effect that gives you a look to smile about.